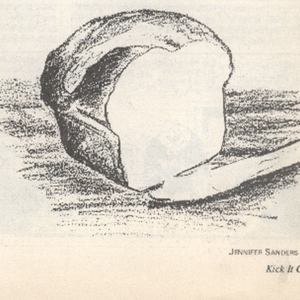 Drawing of a bread loaf. 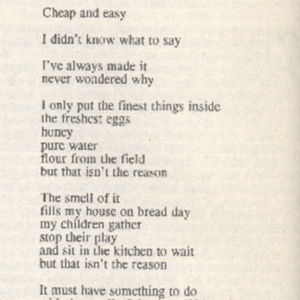 A poem about bread as sustenance. 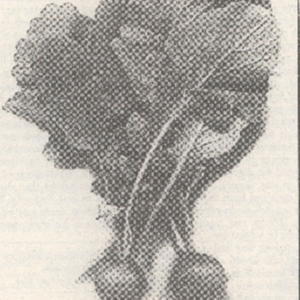 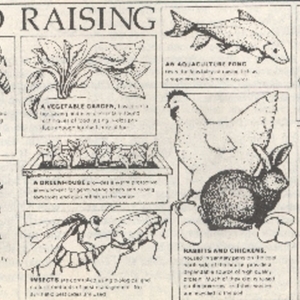 A hand drawn diagram of food production.